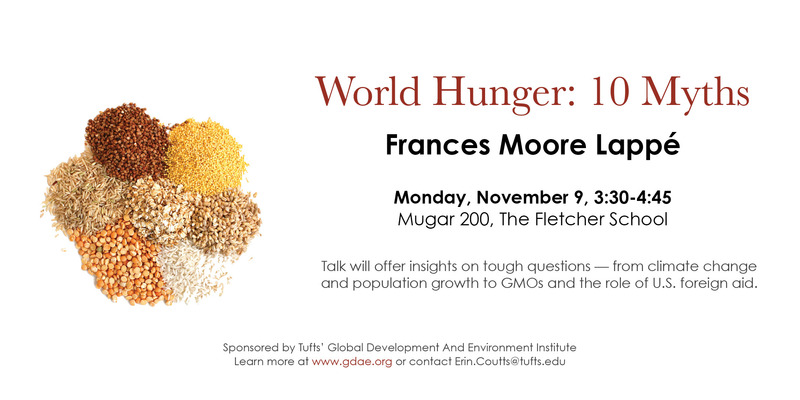 Frances Moore Lappé on "World Hunger: 10 Myths"
Food policy author and activist Frances Moore Lappé will offer insights on tough questions—from climate change and population growth to GMOs and the role of U.S. foreign aid, and more. Driven by the question “Why hunger despite an abundance of food?” Lappé argues that with sustainable agriculture, we can feed the world and end nutritional deprivation affecting one-quarter of the world’s population. She also reasons that most people in the Global North have more in common with the world’s hungry people than they thought.